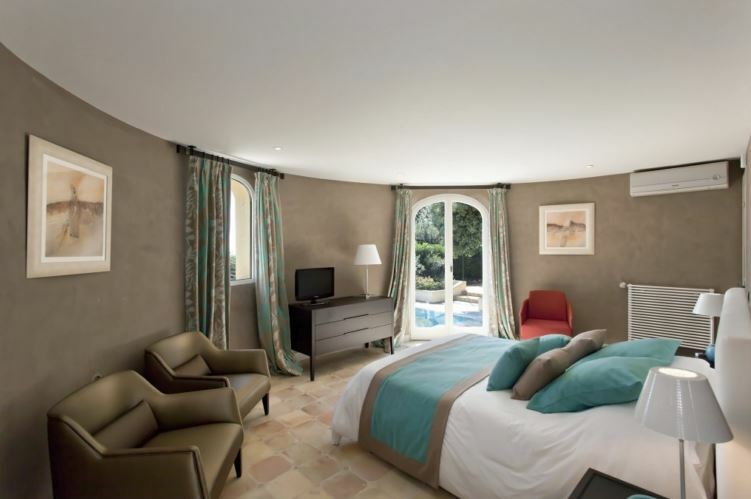 This beautifully renovated villa is located in a secure and quiet area near the village of St Paul de Vence. The property boasts incredible views over the hills and countryside towards the sea. 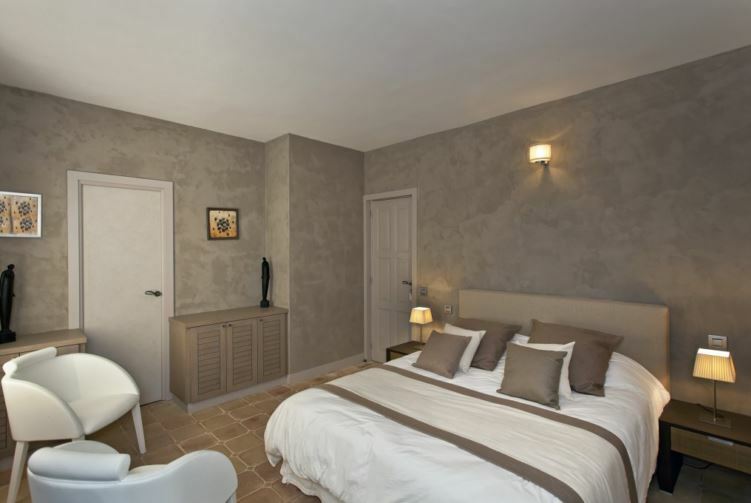 The villa comprises of 6 tastefully designed bedrooms, each with an en-suite shower or bathroom for added convenience and privacy. The master bedroom is located on the ground floor and benefits from generous volumes, a dressing room and access to a south-facing terrace with a sea view. Another double bedroom is found on this floor which features a view of the garden from the terrace. On the garden level of the property, guests will find an additional 3 double bedrooms. Each bedroom has a garden view. There is also an additional independent double bedroom on the garden level. The spacious double reception rooms open onto a south-facing terrace with exceptional views. The terrace has been fitted as a summer living room that sits quite high to gain those views. The ceilings are high with exposed beams, a modern fireplace and a sofa area with a flat screen television. The dining area can accommodate up to 12 people and opens onto another south terrace with a pergola with a dominant countryside view. The large modern kitchen is fully equipped with a breakfast area and also opens onto the south pergola. 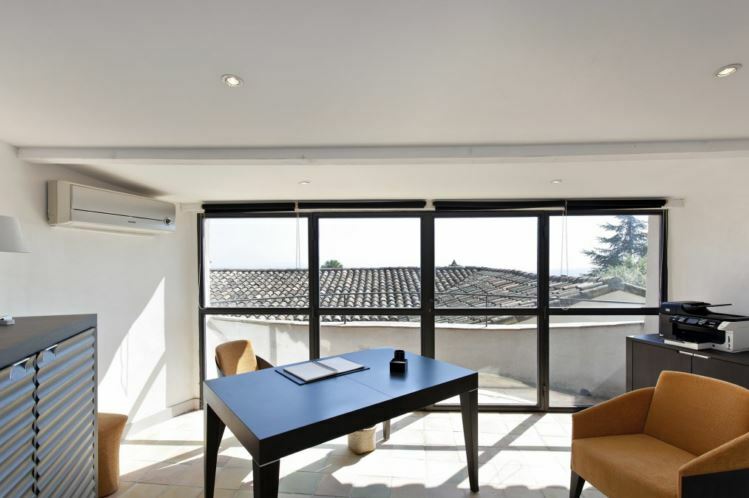 The first floor of the property features a wonderful office room complete with a computer, printer and a terrace with panoramic views. A truly lovely swimming pool completes this awe-inspiring property and provides guests with an exceptional setting to enjoy the Mediterranean climate.